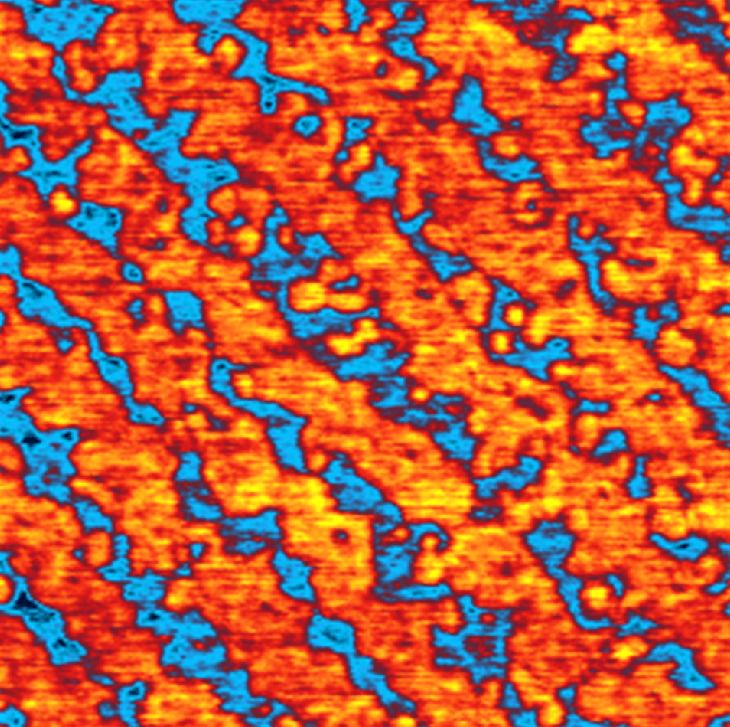 Friction image of an epitaxial film of the oxide ceramic LMSO. Alternating high (orange) and low friction (blue) on adjacent film terraces reveals differences in surface chemistry. Scan size 3 μm. 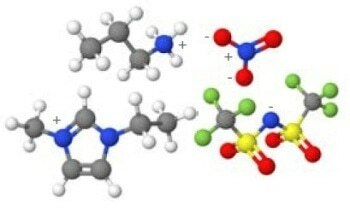 Data courtesy of L. López, L. Balcells, B. Martínez, and C. Ocal, ICMAB-CSIC. Today’s atomic force microscopes (AFMs) are valuable tribology tools that uniquely offer superb force sensitivity, high spatial resolution, fast scanning, and easy operation to gain a deeper understanding of nanoscale friction and wear. The new Oxford Instruments Asylum Research application note, “Nanotribology with the AFM,” describes the latest AFM technology for quantitative measurements of friction, adhesion, superlubricity, and related behavior. Example results are presented for biomedical devices and MEMS/NEMS, and include measurements made on layered polymer films and brushes, epitaxial films, and 2D materials. 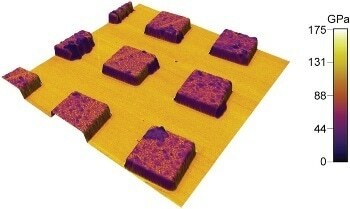 The application note can be downloaded at http://afm.oxinst.com/Nanotribology. Many fundamental aspects of tribology on nano- and micrometer length scales remain poorly understood. This application note explains how AFM is successfully being used to measure critical parameters for tribological research. Results are featured from the Asylum Research Cypher and MFP-3D AFMs. With advanced performance capabilities, Asylum AFMs can be configured for environmental control including heating or cooling, liquid environments, and humidity control. Their closed-loop operation enables piconewton force measurements, improved accuracy, repeatability, and precise control.